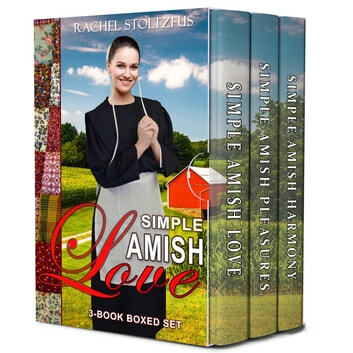 The Simple Amish Love 3-Book Collection is a series of Amish love stories that shows how the power of love can overcome obsession and betrayal. Join the ladies of Peace Landing as they hold onto love in Lancaster County! Book 1: Simple Amish Love - She's found love. But will a stalker end it all? Book 2: Simple Amish Pleasures - A new school year. A new teacher. A hidden danger. Book 3: Simple Amish Harmony - She's in love. With the brother of the woman who betrayed her best friend. 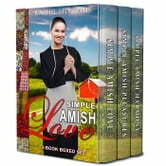 A Simple Amish Love 3-Book Collection is a sweet, Amish romance series that you won't be able to put down. If you love Christian Amish Romance, Grab your Copy Today!